Happenings Bringing you the Alternative to Electric Picnic! We like to think we provide an alternative to the general goings on in Dublin and further afield. And on that note, here is our weekend lineup of all things Happenings. Thursday: The Royal Tenebaums -Open Air Cinema in Merrion Square. 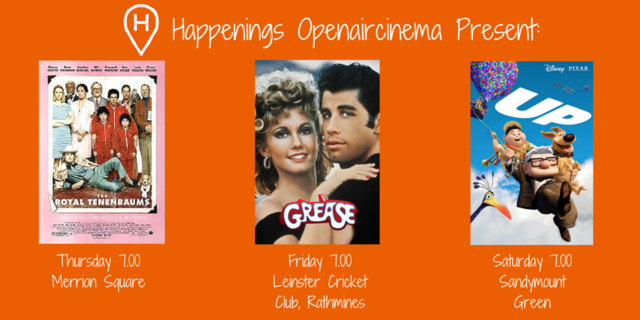 Saturday: UP - Open Air Screening in Sandymount Green. And also on Saturday.... Yoga in Dartmouth Square 11 am with Anne Marie Brennan. We've got your weekend covered!